REC Solar, a subsidiary of Mainstream Energy Corporation, has teamed with GE Energy Industrial Solutions, a leading supplier of power generation and energy delivery technologies, to distribute the GE WattStation™ electric vehicle (EV) charger. The partnership signals the movement toward the inevitable collision of two rapidly growing sustainability movements – solar and electric vehicles – for a cleaner, more secure world. Solar-powered charging stations expand the economic benefits of EV ownership, while enhancing the environmental and energy saving benefits. Looking ahead to a future transportation system freed from dependence on fossil fuels, REC Solar and GE are taking steps to create an end-to-end solar EV charging system that will enable our cars to literally run on sunshine. The intersection of solar and EV industries means greater reduction of greenhouse gases and independence from fossil fuels – while at the same time delivering economic benefits to drivers. The cost of driving a solar-charged EV may be 66 percent less than a gas-powered car, according to a recent study by GTM Research. 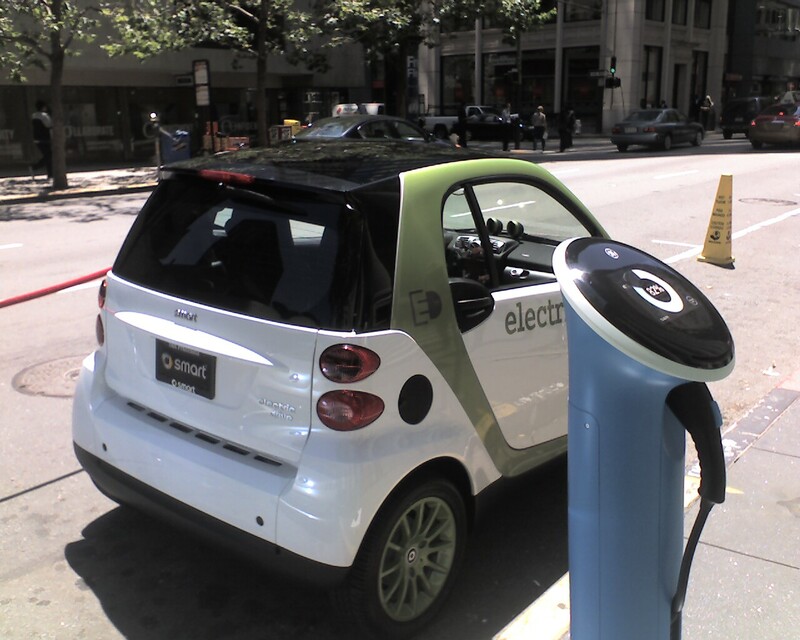 GE’s WattStation is an easy-to-use Level 2 electric vehicle (EV) charger designed to help accelerate the adoption of plug-in electric vehicles by significantly decreasing time needed for charging – delivering a full charge in just four to eight hours compared with standard overnight charging that can take as much as 12 to 14 hours. Its smart grid-enabled technology could also help utility companies manage the impact of EVs on the local and regional grids. As a distributor of the GE WattStation, REC Solar will make it easier for its thousands of commercial, government and residential customers to incorporate EV charging capabilities. The WattStation is the ideal complement to the growing trend towards solar carports, but its simple installation makes it suitable for any type of solar installation.